With the distinct, charming style of the Beginner's Bible series, this padded board book shares the stories of the Bible in a way that young children can connect with and understand. Want the stories of the Bible in simple, engaging language for toddlers? The Beginner's Bible has been a favourite with young children and their parents since its release in 1989 with over 25 million copies sold. With over five million copies sold, The Beginner's Bible is the bestselling Bible storybook of our time. Now there's a condensed version for active little ones to take with them wherever they go. With a padded cover, this board book is soft, durable, and can withstand any child's energetic lifestyle. Playfully illustrated, the storybook introduces toddlers to the Bible in an imaginative way. The accompanying text is simple so that children are engaged by and can learn eight cherished Bible stories, including Creation, Noah's Ark, and the birth of baby Jesus. The Beginner's Bible for Little Ones by Zonderkidz was published by Zondervan in June 2017 and is our 5427th best seller. 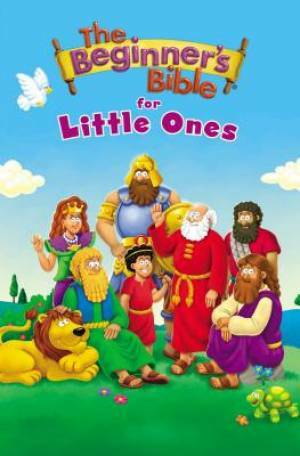 The ISBN for The Beginner's Bible for Little Ones is 9780310755364. Be the first to review The Beginner's Bible for Little Ones! Got a question? No problem! Just click here to ask us about The Beginner's Bible for Little Ones.